This entry was posted in Cards, Friendship Cards, Misc Papercraft, Papercraft and tagged Aloha Newton, cardmaking, coffee, handmade cards, If Friends Were Coffee, Kuretake Zig Clean Color Real Brush pens, Newton Loves Coffee, Newton's Nook Beautiful Blossoms, Newton's Nook Beautiful Wings, newtonsnook, Papercraft, Post-It gift set, Post-It note cube gift, Post-It Note stamping, Purr-fect blend, Scrapbook Adhesives by 3L, scrapbookadhesivesby3l, Spring2017CLH by dannscraftingwhims. Bookmark the permalink. What a springy stack of post its! I need you to come visit my little stacks and do that!! 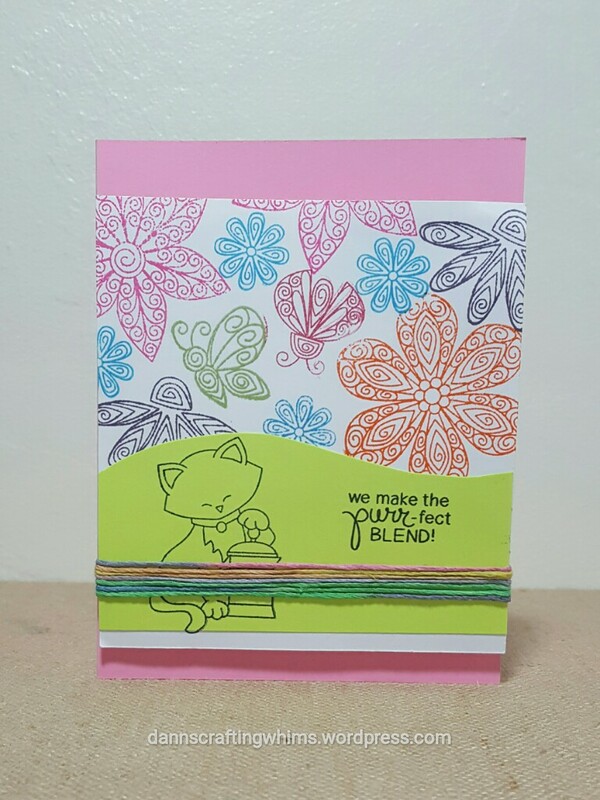 Thanks so much for sharing this in the Coffee Loving Cardmakers Spring Blog Hop. It’s so nice to have you share your talents, and I appreciate the inspiration. Sooo cute! Love the idea with the post it notes! Very sweet Newton gift set. I like all the flowers. This is such a fun set of Spring and coffee fun! Love the images you’ve used on this along with your Post-It Note project! Thanks for sharing! What a pretty card and your post it note cube is AWESOME. So cute! Love your background and that stamped cube. Hi D.ann esa tarjeta es muy muy amorosa . I LOVE these sweet Newton coffee images! All of your cards are amazing! What a fun combo of colors and images! So bright and cheerful for spring! The note cube is so great too! 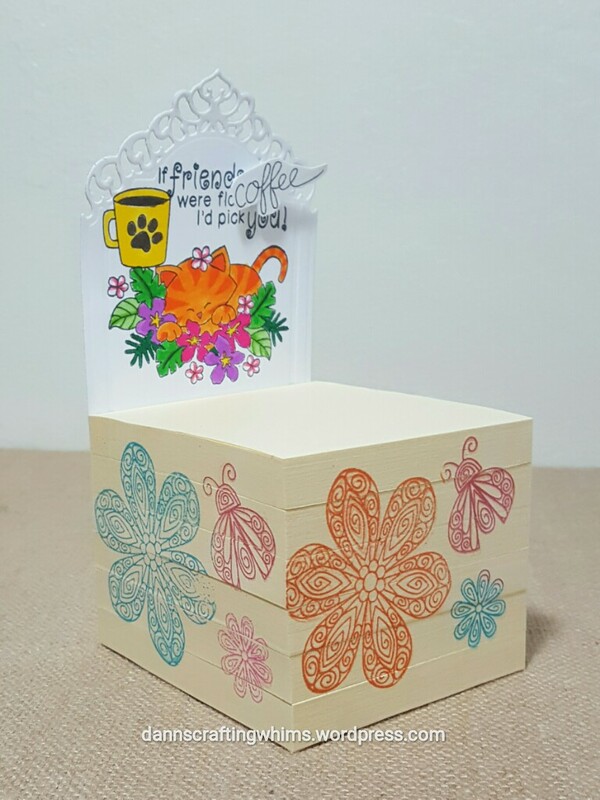 Thanks for sharing and for linking up to our Inky Paws Challenge at Newton’s Nook Designs. Love your set! 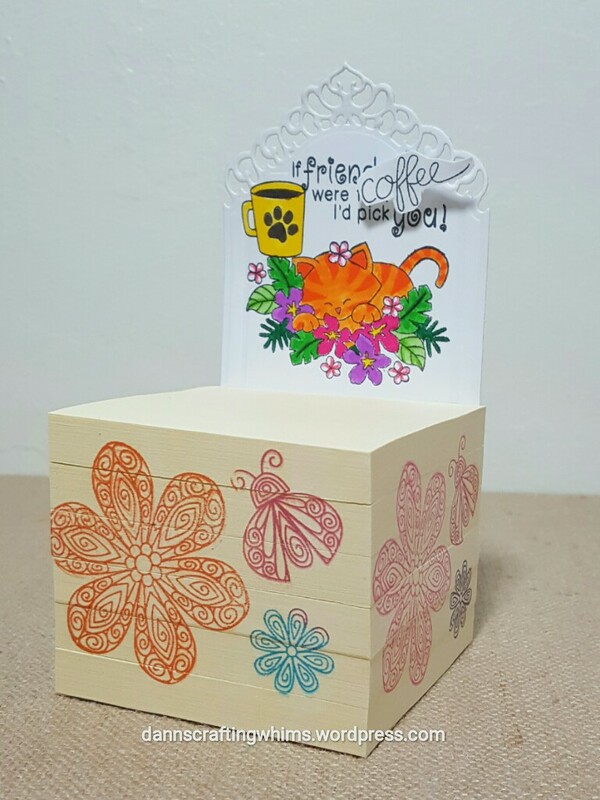 Great combination and wonderful stamps you used. Darling creations. Love that cube – very creative! Awesome card and Post-It notes project. So clever and a great gift or desk element. Such a fun set! Love all those flowers! Thanks for joining us at the Inky Paws Challenge! Such a great gift set! Very colorful and fun! 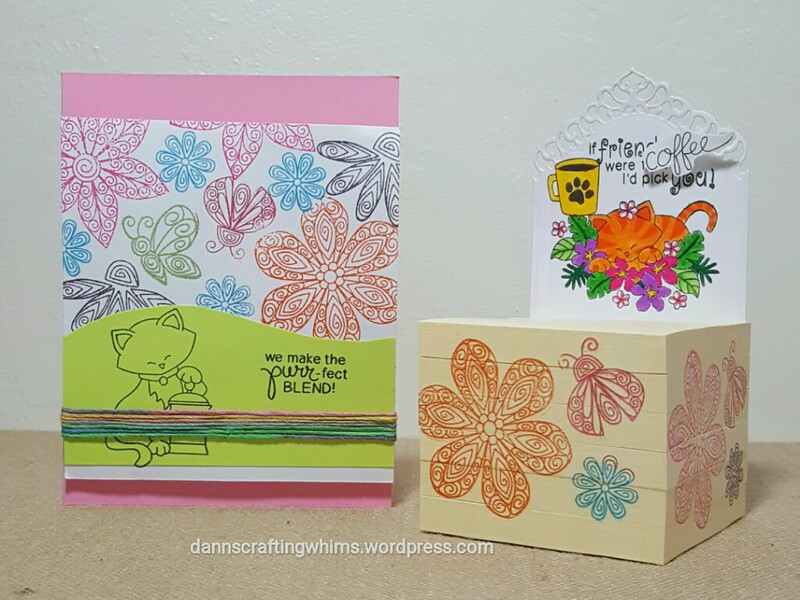 Thanks so much for sharing at Inky Paws Challenge!